﻿ Assessment Centre Secrets Revealed: What Are the Cognitive Ability Tests? Home Tips & Tricks Assessment Centre Secrets Revealed: What Are the Cognitive Ability Tests? 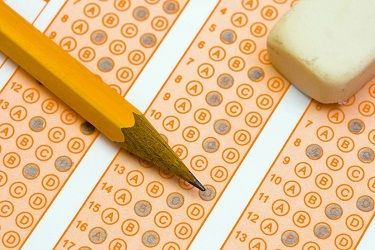 01 Dec 2011 Print Assessment Centre Secrets Revealed: What Are the Cognitive Ability Tests? Cognitive ability tests, also known as aptitude tests, are a part of psychometric testing conducted by assessment centres during job selection procedures to determine a candidate’s skills and abilities. In most cases, these aptitude tests include a combination of abstract reasoning tests and numerical and verbal reasoning tests. Aptitude tests are used in many different industries, especially sales, finance, and marketing sectors. A large number of consulting firms also use aptitude online tests in order to gauge a candidate’s abilities prior to interview. These tests help assessment centres to quickly shortlist candidates that reflect the skills required for the role. Apart from numerical and verbal reasoning tests, candidates may also be required to take mechanical ability tests, which test their product knowledge and professional abilities. Although aptitude tests include a series of psychometric components, the actual test depends on the industry and the role being interviewed for. A company hiring for a position which requires excellent communication skills may focus on verbal reasoning tests while a company hiring for a position which requires mathematical skills may focus on numerical reasoning. Similarly, certain cognitive ability tests can also include spatial and mechanical tests. Spatial ability tests are used primarily in production and design jobs, with questions about two dimensional and three dimensional drawings, shape assembly, and object angles. Mechanical reasoning tests are industry specific and are mostly used in interviews for manufacturing, production, and mechanical engineering roles. These testing interviews are also used for military jobs and apprenticeships. Cognitive ability tests are a combination of aptitude tests and general intelligence tests. 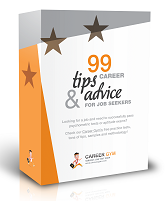 They provide an insight into a candidate’s capabilities, skills, personality, and attitude. They also make it easier for assessment centres to evaluate a candidate. Most of these tests are computerised, thus allowing for a fair and legitimate selection process. A percentile score helps shortlist candidates who have performed better than others. These candidates then move forward to additional interview rounds. Because manual input during these test interview processes is minimal, they also help save time and money for the interviewing organization. You can find numerous aptitude sample tests and aptitude test papers online. When discussing the job role with your interviewer, try and find out about the different interview stages and assessment methods. This will help you plan your preparation course better. Take online tests for numerical, verbal, and abstract reasoning to hone your skills. Spend at least one or two hours a day practicing these tests. Remember, practice makes perfect. The more you practice, the better are your chances of doing well in the selection test.